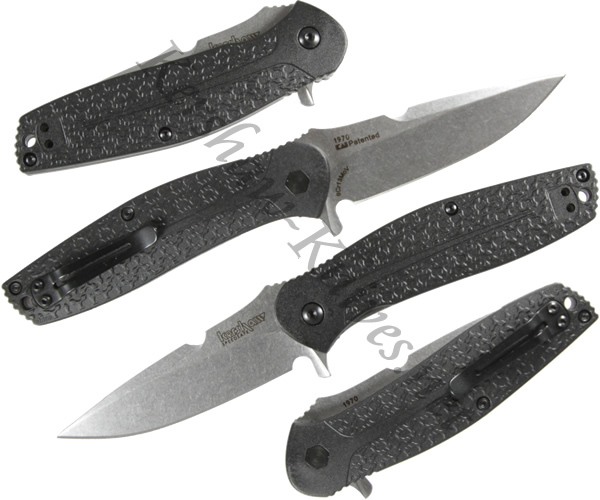 The blade of the Kershaw Burst 1970 knife is constructed of 8Cr13MoV steel. It is locked into place with a strong liner lock. A ridged thumb ramp provides stability for various tasks. The handle is highly textured glass reinforced nylon that is not only highly functional, but visually pleasing. A flipper is located on the spine for fast SpeedSafe assisted opening. You can carry right handed or left handed by easily changing the reversible carrying clip. A lanyard can be attached for more carrying options.